Durocher Enterprises offers a specialized compensation structure which is incorporated into mSPA® for Durocher customers. 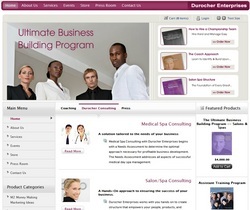 Durocher Enterprises is a consulting firm specializing in your success. Click image to open Durocher's website for more details.